You a doctor or something? Never had much business with doctors. Doris took sick once, went to the doctor. Jabbed her fulla holes, sent her home with some pills, didn't fix a goddamn thing. Well, as I said, I'm not a doctor, at least not yet. I'm a research student, and I happened on your daughter's case in one of the university medical files. Eh? You mean Delia? Goddamn, must have some long memories there. *laughs* I suppose that's right. She was a unique case, and those sorts of things tend to stick with people. I just wanted to get a little more information. Don't know what I can tell you that I didn't already. 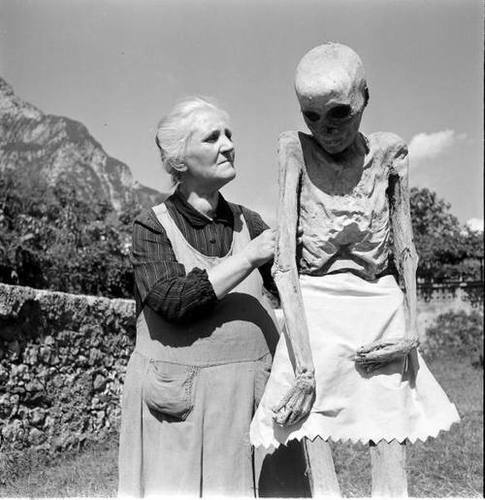 Delia came back from the woodpile one day, said she didn't feel good. She's normally healthy as a horse, so I took it to heart. Let her lie down a bit, but it didn't do any good. Got paler and paler, sicker and sicker. Doris got more and more scared, by the fourth day she almost dragged me and her to town to see the doctor. Did they give any diagnosis? Well, they hemmed and hawed over her for a while, but didn't come up with anything, just bounced us to the university hospital, see if they could figure it out. Fat lot of good that did. She kept fadin' and fadin' each hour. She…she stopped breathin' for a while. Few hours, I think, the doctors were ready to give up, but then she sat up again, finally. Gave us all a fright. They say you removed her after that? The notes say they were concerned about a strain of rabies or something similar, weren't you concerned? My baby girl was up and around again, and I didn't want those fellas pawin' over her anymore. They didn't know, and I didn't care to let them fiddle around until they did. Oh, hell, might as well let you hear it from the horses mouth, right? DORIS. DORIS! BRING DELIA DOWNSTAIRS! Wait, your daughter's still here? The hell else would she be? I know things are different in the city, but here, family is still important. She's my girl, and I love her. It's hard, some days. At first it was bad, she'd snap at anyone, but I think it was all the proddin' and pokin' she took. She gentled down after a few months, and we take care of her. How…old is your daughter now? Well, she's about forty now, and a little worse for wear, but she's still my girl. The hardest part was figurin' out what she needed after that. Took ages, and she got worse and worse, but old Parkins helped us figure it out, god rest his soul. Gotten harder lately, but…ah, here's my girl now. It's been hard, yeah, but we get by. We always get by, always have. Now, boy, you settle down now, ease down, I don't wanna make this hard. Boy, you- BOY! Alright, let her go Doris, she can't hurt him none now. Least she's still got her teeth. recording and photograph recovered from small bundle of personal effects, believed to belong to missing research student Paul ███████. Investigation is still ongoing.